People get acne when dead skin cells, oil, and debris accumulate in the pores of their skin. Often the accumulation can be washed away or by exfoliating. If not removed, it can form pimples, whiteheads, or blackheads. Individuals often squeeze these and push whatever has accumulated out of their pores. However, pores can become clogged and trap substances beneath the surface of the skin. Bacteria take over and create a serious infection known as cystic acne. Sometimes the infection breaks through the outer layer of skin, creating an open sore, or lesion. Sometimes it creates a lump. In either case, squeezing is not how to get rid of cystic acne because it pushes the infection deeper. How Can I Avoid Cystic Acne? How Can I Control My Cystic Acne? There are lots of home remedies for getting rid of cystic acne, but many of them take time. When you only have overnight to eliminate your acne, you can try sea salt water or honey. Many individuals have found them effective and they’re worth trying. 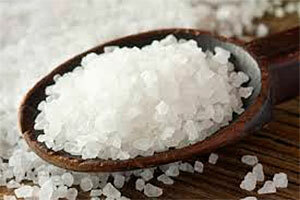 It’s not that easy to get pure ocean water, but most markets carry organic sea salt. Sea salt is a time-honored treatment for cleaning wounds. It burns, but if you can tolerate moderate discomfort, it can remove skin oils and dry your skin. Dissolve the sea salt in warm water and dab it on each spot. Leave it on for 20 minutes, then rinse off. 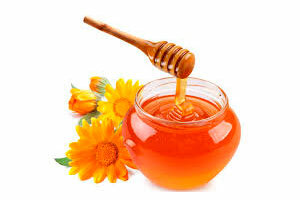 Honey moisturizes and soothes your skin as it absorbs oil. It will also help fade scars. Apply raw organic honey to each spot and leave on for half an hour. Rinse it off and pat your face dry. Your skin is different in several ways from the skin of others. What works for others may not work for you when it comes to getting rid of cystic acne. That’s one reason why dozens of remedies exist. Most use natural ingredients and are safe to try until you find the one that helps you. One cystic acne treatment you can start with is a paste made from baking soda and water. Part of what causes cystic acne is an accumulation of dead skin cells clogging your pores. 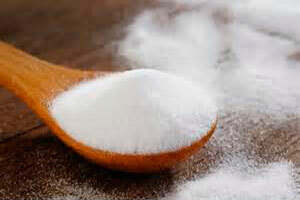 Baking soda is a mild exfoliant which will help remove debris from your skin. Simply apply the paste to the affected areas twice a day and leave on for up to half an hour. Rinse off with warm water. For a stronger solution, add a small amount of sea salt to the paste. That paste should be rinsed off after about five minutes. Your skin will feel smooth and oil-free. Use pure organic ingredients in all your home remedies for the best results. For example, processed honey is not an effective moisturizer. Other processed ingredients can introduce impurities into your pores, making your acne worse instead of better. No matter how careful you are when treating your cystic acne, sometimes you’re going to end up with scars. If you expose your skin to sunshine or use a tanning bed, you risk making your scars even more noticeable. So your first step is to avoid UV radiation. You can purchase over-the-counter remedies containing Vitamin C, which is effective for lightening scar tissue. However, if your skin isn’t too sensitive, you can also use a cotton ball to dab pure lemon juice on the scar. Leave it on for half an hour or so, then rinse off. If your skin is dry, you can mix equal amounts of lemon juice and glycerin and apply to affected areas. Leave it on for an hour before rinsing off. The combination reduces scarring as well as leaving your skin silky smooth. Vitamin E oil can fade existing scars and help keep new scars from forming. Apply the pure oil where needed on your skin. It can be left on for as long as you’re comfortable with it, then gently wiped off with a soft cloth. 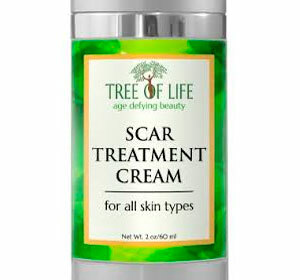 Various anti-scar products are available. If you purchase these, look for the gentlest formulas you can find. Avoid those that are greasy, as they will potentially clog your pores and cause more breakouts. You can also choose to consult a professional and undergo laser treatments or chemical peels to diminish your scarring. The key to cystic acne treatment for your chin lies in knowing the underlying cause. Relieving the cause will go a long way towards eliminating the lesions. One of the primary causes of chin breakouts in women is hormonal imbalances. Although testosterone plays a role in cystic acne, chin breakouts occur less often in adult males. Clean your cell phone. More individuals than in the past have become prey to acne on their chins and jaw line areas. That’s been traced to holding a dirty cell phone close to their face. 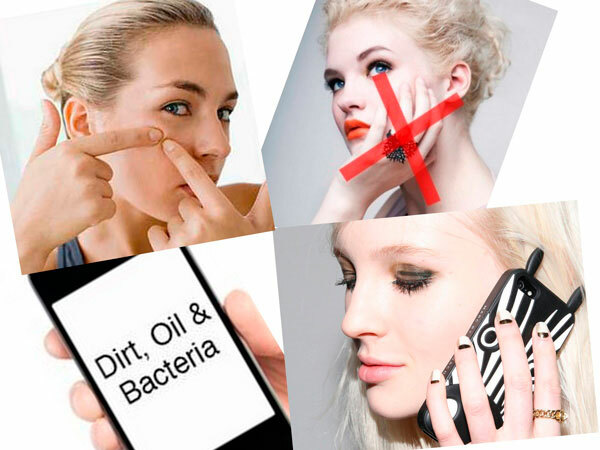 Not only is dirt and oil introduced to your pores from that practice, various kinds of bacteria live on your phone. Many home remedies work as well on chin cystic acne as they do on lesions on other places. However, these lesions tend to be more persistent than they are elsewhere, often necessitating medical intervention. The first step is to undergo testing to determine if the cause of your cystic acne is your hormones. If it is, your doctor can prescribe birth control pills or hormone replacement therapy as appropriate. If your cysts occur for other reasons, you and your doctor can try one or more medications. Many of the over-the-counter creams and lotions are available in prescription strength. If you have the habit of resting your chin on your hands, try to break it. Anything that’s on your hands will invade the skin pores on your chin. The potential of transferring bacteria and debris increases if you keep your hands against your chin long enough to warm the skin. Cystic acne lesions on your back can be more painful than those elsewhere on your body. Because it’s hard to see your back, it’s easy to miss the early signs that a cyst is forming, giving it longer time to grow. The pores on your back tend to be larger than other pores, which also allows cysts to enlarge. Exfoliate your back every time you bathe or shower. Long-handled exfoliating sponges are made for this purpose. Generously apply an anti-acne cleanser that contains benzoyl peroxide. Leave the cleanser on for at least two minutes. Rinse and pat dry. Shower immediately after exercise or workouts to rinse away pore-clogging sweat and oil. Apply a warm compress on the cyst several times a day to help draw out any infection. Experts recommend leaving the compress in place for about 15 minutes each time. Some individuals use warm milk rather than water in the compress. Protect your back from the sun and harmful UV radiation. Because cystic acne can leave deep scars on your back, consult with a skin specialist if these remedies don’t reduce the frequency and severity of your lesions. Exfoliating means removing dead skin cells with a coarse cleaner. It’s necessary to choose your makeup products very carefully, as many of them can worsen your cystic acne by clogging your pores. Start with products that are non-comedogenic. Comedone is a medical word for blackheads and whiteheads. Non-comedogenic products don’t contain the greasy ingredients that can lead to acne of all kinds. If you need a cleanser, look for one that is non-abrasive and that’s formulated for your skin type. Apply an oil-free moisturizer as often as needed to keep your skin looking fresh, especially if you’ve used drying ingredients like benzoyl peroxide as a cystic acne treatment. Moisturizers made with glycerin are a good choice. Your first impulse may be to use as much heavy concealer or foundation as it takes to cover your lesions. Resist the impulse. Look instead for oil-free products that are gentle, non-comedogenic, and hypoallergenic. Read the labels carefully. Cosmetics with dimethicone will hide redness and make your skin look smoother. Cosmetics that contain minerals like silica or zinc oxide will absorb excess oil and hide redness. Apply minimal amounts of foundation. Makeup rarely sticks to acne lesions when it’s smoothed on. You’ll probably need to use your fingertips or a sterile sponge to dab on your cosmetics. Tiny, close together dabs or taps will allow you to gently blend outward for good coverage. You can finish with powder just as you would if you didn’t have a cystic acne breakout. Research has shown that cystic acne has a genetic component, so you may not be able to completely avoid it. It also seems to affect young males more often than women, but it can strike anyone at any age. Keeping your skin very clean and using products that will absorb excess oil will help prevent an infection from starting. Experts recommend eating foods that are low on the glycemic scale, which means avoiding simple carbohydrates like white bread. Others suggest that dairy products and any sugary or acidic foods should be avoided. Mario Badescu Buffering Lotion. $19 – $22.00, available at fine stores and online. Dr. Dennis Gross SkinCare Clarifying Colloidal Sulfur Mask. $30.00 – $40.00, available at fine stores and online. Paula’s Choice Clear Extra Strength Kit. $13.00 for trial size, available at fine stores and online. Hyland’s ClearAc 100% Natural Acne Tablets. 50 tablets about $11.00, available online and at pharmacies. Pure Body Naturals Tea Tree Oil, Therapeutic Grade. about $8.00 – $12.00, depending on size; available online and pharmacies. Although your cystic acne will likely never completely go away, you can bring it under control by being very kind and gentle to your skin. 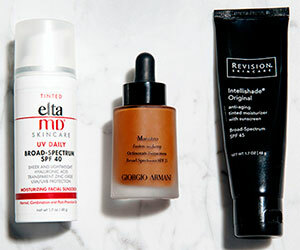 It may take you awhile to find the best products for your skin, so patience with the process is necessary. The single best thing you can do for your skin and help control your cystic acne is to stay out of the sun. One expert suggests keeping a diary to help you discover what causes your cystic acne. Make notes of everything that happened the day or two before your breakout. Include your physical activity, any stress or emotional turmoil, or any unusual occurrences. You’ll also need to make note of all the over-the-counter or prescription medications you’re taking, as well the foods and liquids you consumed. The more details you include, the better your chances are of discovering clues as to what triggers your breakouts. Don’t indulge in any guilt trips because of anything you’ve done or not done to your skin. That will only create stress, which will worsen your breakouts. Although natural remedies are usually preferable, don’t hesitate about consulting a dermatologist. He or she will have tips to that can help you get control and minimize your breakouts. Don’t condemn yourself if you need prescription treatments. You have to choose the cystic acne treatment is most effective for your skin and your lifestyle. You can find further details of Cystic acne here.